Tilapia fillets dusted with bold Cajun spices & sautéed until crisp & flavorful on the outside and tender and flaky within. This is one of my favorite fish recipes, and it’s super quick and easy. Mild tilapia fillets are dusted with a bold Cajun spice rub, then sautéed in olive oil until crisp and flavorful on the exterior and tender and flaky within. Begin by making the Cajun spice rub. In a small bowl, combine paprika, brown sugar, oregano, salt, cumin, garlic powder and cayenne. Don’t worry about the amount of cayenne — the fillets have a little kick to them but they’re not too spicy, even for kids. Next, dust the spice rub evenly over the tilapia fillets. Heat the olive oil in a large sauté pan, then cook the fillets a few minutes per side, until crisp and reddish-brown (“blackened”) on the outside and flaky on the inside. Combine the paprika, brown sugar, oregano, garlic powder, cumin, cayenne pepper and salt in a small bowl; mix until well combined (use your fingers to break up the lumps of brown sugar). Sprinkle the spice rub evenly over both sides of the tilapia fillets. Heat the olive oil over medium-high heat in a large non-stick pan. Cook the fillets for 2-3 minutes on each side until reddish-brown on the outside and flaky on the inside. Serve immediately with lime wedges. the recipe calls for 10 oz. fish for 4 servings? That’s only a little over 2oz. per serving. could this possibly be a typo? Hi Susan, Sorry for any confusion; the recipe calls for four 6-oz tilapia fillets. Where are you seeing 10 oz.? Has anyone used frozen Talapia fillets? It seems like frozen fillets (I have individually vac sealed from Walmart) are usually thinner. I’m inexperienced with making anything “blackened” so I’m wondering if it would be overpowering on a smaller cut of protein. My family requests this recipe at least every other week. I have served this fish with the Grilled Shrimp Tacos with Avocado Salsa for guests. The meal has received rave reviews every time. Thank you for another wonderfully tasty and easy recipe. Quick and easy weeknight dinner! Made with rice and a green salad, the only fish my kid’s will eat! I love fish so thanks for the quick and easy recipe for a weeknight meal! Flavors are great and this fish recipe is good in fish tacos. 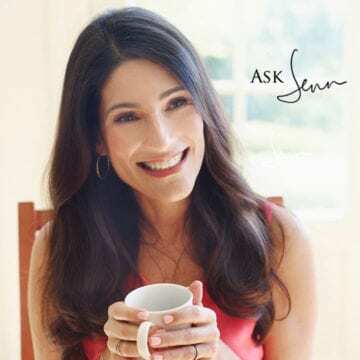 Hi Jennifer – I love all your recipes and I like the new website. 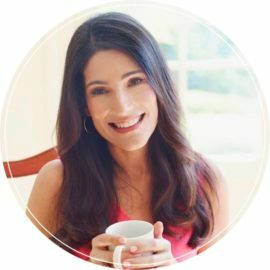 Can you tell me if there’s a way to tell on the website if a recipe I’m interested in is in the book? Hi Debbie, So glad you like the new site! Yes, there is a way – there is a “cookbook recipe” stamp on the cookbook recipes. It is in the bottom left corner of the main photo (see my Peruvian chicken to see what I mean). THIS was AMAZING!!! I added a littlse season salt because I like it a little saltier and cooked it in a iron skillet! It was the BEST and I am NOT a fish lover!!! HIGHLY recommend! I love this seasoning. I use it all the time and it’s extremely flavorful! I use a little less cayenne pepper because I don’t like spiciness, and will sometimes use lemon juice afterwards as well. But for me this recipe only makes enough seasoning for two fish filets. What is a good dessert with this dish? Because they have a tiny bit of a kick, these would be nice with a fruity dessert, like this Key Lime Pie Ice Cream or these Strawberry Shortcakes. Hope that helps! I’ve made this tilapia for dinner a couple of times over the past few months. It’s incredibly delicious and quick to prepare. This has become a go to recipe for blackened tilapia. The genius of this recipe is its simplicity and perfect compliment of spices that turns an inexpensive dish into something you would certainly have again. Thank you for this recipe. This recipe makes the most delicious tilapia you will ever taste! I followed the recipe exactly as written and the flavor was outstanding!! Can this be baked on the oven? If so on what temperature and how long? Hi Beth, if you want to prepare this in the oven, I’d suggest broiling it. I’d coat the fish with a little bit of oil (so that they blacken a bit more) and broil for 5 – 10 minutes depending on the thickness of the fillets. Enjoy! This is our only way to prepare tilapia now! It’s easy to use frozen tilapia if you squeeze them well between paper towels after defrosting (this removes the excess water). 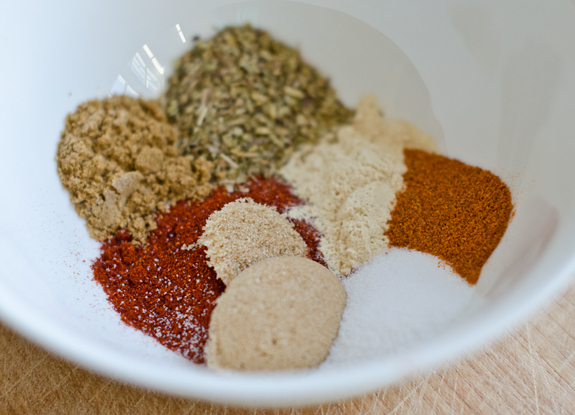 I prepare a 6 recipe size jar of the spice rub and keep it on the shelf–only takes a minute the mix at the ready. Can’t wait for my cookbook to arrive!!!!! This is a fantastic recipe! It is on regular rotation on my dinner menu. I normally pan fry it in my cast iron skillet with some grapeseed oil. However, last time I broiled it in the oven. I placed a wire rack in a baking sheet and then placed the fish on top. It came out great that way. This Blackened Tilapia is fantastic! I made it just as the recipe instructs and it did not disappoint. Served it with roasted asparagus and lemon brown rice–a perfect meal. Thanks Jenn–your recipes are always so easy to follow and delicious! I love this recipe!! Its so easy, delicious, and best of all quick! My husband and I don’t like too much spice so I leave out the cayenne and just add a pinch of black pepper instead. Otherwise, I use all other ingredients as stated and it comes out great! I’ve made it with flounder and lemon sole as well and it came out just as good. I definitely recommend! This sounds wonderful. I blacken catfish a lot, but hadn’t thought of doing so with tilapia. I try to be sugar free, so what would you substitute for brown sugar? Is it crucial to the dish. Thanks. Hi Bill, you can just omit the sugar — it’s not crucial here. Enjoy! I am not a big fish person to begin with and I wish I would have followed the recipe more concisely. I didn’t have any fresh limes which I thought would be a great flavor addition, so I used lime juice concentrate on the fish before I put the dry spices on. I honestly didn’t taste much lime doing it this way and the spices didn’t stick to the fish the same. I so wish I had the real deal limes! Also, thinking it would make it healthier, I grilled the fish instead of pan frying. Either the paprika or the cumin overpowered the other flavors. Overall, I believe that if I would’ve followed the recipe better, I may have enjoyed this fish more…..which by the way, my husband loved and devoured! Another hit! Quick, easy and delicious! This recipe was out of this world!!!! It was perfect, I have used it several times. This recipe is to die for. Seasoning is perfect. I truly enjoyed it. Actually making it again tomorrow. Great and fast recipe and it was delicious! My family really liked it. It is incredible that just a few ingredients could make this dish taste so delicious. I did not have garlic powder so I used fresh garlic, it worked fine, but I think powder would have blended in much better with the taste of the other spices for this dish. I usually leave out sugar for most recipes, but it is a must for this dish. Once the sugar caramelized and fused with the spices, OMG the taste is incredible. Absolutely love this recipe! It is my go-to recipe for tilapia. I have served this dish several times when we’ve had guests and it is always a hit. Even my son, who is picky about spices, enjoys this dish! I have yet to find a recipe of Jenn’s that we haven’t liked! Even so, this is definitely one of our favorites! Made this and then broke it up to put in tacos with cabbage and avocado dressing. Delish! Loved this quick, easy, delicious recipe! It will be a staple for sure. Thank you!! My husband was not happy about having fish for dinner but he had seconds. It was delicious. I was scared of the cayenne pepper but Jen said not to be and I’m glad I listened. I served it with Jen’s Mexican rice. In case anyone wants to know how this turns out on Mahi it’s very good. I had the skin taken off so I could season both sides. My husband and I did agree that it’s better on tilapia. I think because mahi is thicker the seasoning to fish ratio is better on the talapia (and the mahi has to be cooked longer) but my MIL loves mahi and she thought it was great. Hope this helps those who asked. Soo quick and easy. If you need dinner in 10 minutes, this is it! Great flavor & very easy! Talipia never tasted so good! This spice mix is perfect as written. I’ve made it twice in 2 weeks. The 2nd time we used the blackened tilapia for fish tacos. I made your chipotle sauce to top the tacos. So delicious & fresh. Both times, I served your Mexican rice as the side. Thanks again, Jenn! I use this recipe for my fish tacos. It’s so good! Could I grill this in the oven? Hi Lynda, when you say you’d like to use the oven to grill it, I’m assuming you mean broiling. If so, Yes– I’d coat them with a little bit of oil and then broil them so that they blacken a bit more. Enjoy! First of all, I would like to say I just love your recipes!!!!!!! Can you use this blackening seasoning on any white fish? Glad you like the recipes, Lisa! Yes, I think this seasoning would work nicely on a variety of fishes. Decided at the last minute to make this for dinner tonight but didn’t have any fish in the house. Used chicken instead. Cut the chicken into strips, then coated with the Cajun seasoning and sauteed the strips in an olive oil/butter combo. Served with roasted carrots with thyme (my very favourite way to serve carrots – thank you!) and sauteed asparagus. Absolutely wonderful and less than 30 minutes from start to finish. Thanks so much for your awesome recipes! So easy and quick! It has become my favorite fish recipe. I’ve never been a fan of tilapia until now! Great recipe. Next time I want to stir fry rice in the pan used to cook the fish. I’ve made scrambled eggs using the pan I’ve cooked fried seasoned fish in before and they are always amazing. Thanks for another winner! This looks delicious!! I’m always looking for fish recipes & was wondering if I could substitute haddock for the tilapia? I will be trying this very soon. Hi Cathy, I think that should work. I’d love to hear how it turns out with the haddock! I was looking for a fish recipe that was different than my usual breaded flounder or lemon/garlic/parsely dressing. This was absolutely fantastic. The Cajun spice was the perfect balance to the sweetness of the fish. Thanks for another great recipe! I know I can always count on your website for wholesome, easy, but really delicious meals! Great recipe! Loved it AND quick! Could you fry this in coconut oil to give it a little of that flavor profile? I was wanting to pair this with some rice with red peppers and coconut and cajun corn on the cob. Any suggestions! I am looking forward to making this, it seems foolproof!!!! Hi Sabrina, I haven’t cooked this in coconut oil, but another reader did and was happy with the results. I like the sound of the sides you’re planning to serve with the fish. Hope you enjoy! This is one of our “go to” recipes and we love it! So easy & so delicious! Will definitely be fixing this again soon! Any other fish you could recommend instead of Tilapia? Hi Elisa, Hi Kristen, You could substitute pretty much anything here. A couple great options are salmon, snapper, grouper or mahi mahi. This is literally a tried and true recipe for me! Thank you so much. Whenever I make it everyone loves it. Just a tip: If you’re feeling a little unhealthy, add some butter, a splash of lime juice, some peppers, and any leftover seasoning to the pan after you take all of the fish out to make a really flavorful sauce . I did that the last time I made this and it was AMAZING! Just awesome! Thanks for the great recipe. I made it for my wife with cajun Brussel sprouts and she thoroughly enjoyed it. Do you recommend making up a larger batch of the rub and keeping it on hand? I have a meat rub that I keep ready. Thanks for ll the goodies!!! Sure, it’s always nice to have extra on hand! What do u think about grilling this is foil packets instead of frying? Just looking for ease of prep as I am planning on also making a sauté of veggies(zucchini,yellow squash and tomatoes) and Pearl couscous. Hi Kath, Thanks for the kind words – I’m so glad the recipes are working for you! I think you could definitely grill the tilapia in foil packets; the only thing is that you won’t get that nice sear, which adds texture and flavor. My tilapia has not been the same since I started using this recipe. I love it!!!! This is excellent. It’s foolproof. I usually don’t have luck with fish, but this turned out perfect! The seasoning is amazing. It’s one of the most easiest and quick kid friendly dinners that I frequently make. However, before using the seasoning… I mix it with unflavored yoghurt and it really gives the fish an amazing flavor. This seasoning is fantastic. We usually use a store bought brand, but this far exceeded the other one. We live on the Gulf Coast and use it regularly. Now I finally know how to make blackened fish! I didn’t realize the sugar was what gave it the gorgeous color. The spice blend in this recipe was perfection! Five stars. I tried the blackened tilapia for the first time and it was AMAZING!!! Me and my fiancée truly enjoyed it. I served it with rice and sautéed mushrooms. Thank you so much! Cooked this on the grill in a cast iron pan. Family absolutely loved it. Your buffalo wings on the grill are my absolute favorite wing recipe. My 6 year old son loves this fish (as do my husband and I)! It is easy to prepare and so flavorful. I refer to your website for recipes almost daily. I always get compliments on the menu. I just finished making blackened tilapia and side dish was sautéed zucchini and cherry tomatoes. My family loved it. Tilapia was so good with spices and fresh lime. Hi Bryan, If you click on the “recipe” tab, you will find specific instructions. Enjoy! This recipe was really, really good. For those that are watching their weight, I would propose skipping the sugar, and instead of pan frying, pop it in the oven. I have had oven baked blackened tilapia before and it’s just as good. Overall, great recipe and great rub. I made extra of the rub and stored it in tupperware for the next time I make this. Thank you! This was AMAZING! Easy and quick dinner and everyone loved it! Kids requested it be added to the “regular” menu! I cooked it in coconut oil and used less cayenne just so it wouldn’t be too “hot” for my kids. Very nice recipe. I will be making this again. Fantasic! It was too healthy so I added 2 tablespoons of softened butter to the spice rub and we absolutely loved it. These were delicious !! And SO easy to make! Ill definitely be making again! Im not a big fan of cumin so I only used half the amount, but everything else I did as said and they turned out great ! Very good fish. I also use this mixture on chicken and shrimp. Great on anything! This was delicious!! Will definitely make again. I may decrease the cayenne to 1/8 tsp. for my 6 year old, who said it was too spicy (I ate her piece!) I even made a 2nd piece for my husband who came home late, knowing he would love it too – and he did! This is great! I had a salt free Cajun spice rub on hand so I used that, but the cooking method was just what I was looking for. This recipe is quick and easy and will become part of my routine. Absolute winner! I wanted something very different from Old Bay seasoning for tilapia and finding this recipe was incredible! The aroma was insane, the fish turned out great, and the splash of lemon took it to a whole new level! I can still smell the spices…long after dinner. Highly recommend trying this recipe!! Quick & easy. You could have dinner on the table in 30 minutes including side dishes. A fish hater had the fish tonight and really liked it and asked me to make it again. Winner! I served it with balsamic roasted beets, green garden salad, and rice pilaf. How many tilapia fillets–and how many ounces per serving? Hi Linda, The recipe calls for four 6-ounce fillets, so one fillet per serving. We loved it. Thanks for a great recipe. I changed nothing on it. And it turned out great. Made the seasoning in the morning and a salad. And it made a quick meal at dinner time. The Cajun spice rub from the blackened Tilapia is a definite winner, better than offered by Penzys. The proof is my wife who is one of the world’s most picky eater where fish is concerned ate her entire serving. Thank you Jennifer! We plan to eat more fish because we loved the rub so much! Everything I’ve tried from your website has been delicious. So I had some tilapia in my freezer but did not want to stop by the store on my way home. Googled a tilapia recipe and came across this one. Best one ever! Family loved it. I paired it with some cilantro rice and sauted garlic kale with cajun seasoning. This was absolutely delicious. I substituted coriander for paprika and oregano (didn’t have either in the house) but it still came out great. Thank you! Tilapia is great and so is this recipe. Just be sure of the source of your tilapia. Tilapia imported from China is known to be farmed raised in sewage treatment ponds. This recipe is just delicious. The look of the finished product is exactly like the photograph in the recipe. I changed nothing in preparation and the whole family loved it. We served the fish with Jasmine rice and fresh vegetables on the side. Just made this was delicious! The whole family loved it!! Hi Stephanie, Yes, that should work. This recipe was absolutely awesome! Will become a favorite in our family! Thanks for sharing! Can I use flounder fillets? I’m trying not to fry fish. Do you recommend baking or broiling? If so, which one is better and for how long? Will the fish still be blackened? Hi Seidi, Flounder fillets will work. I’d probably coat them with a bit of oil and then broil them so that they blacken a bit more. Delicious, super easy and fast. I love it! Note: the spice was a bit much for the kids. Enjoy! Could you broil this in the oven? If so, how long? Hi Debbie, Yes that would be fine. I’d say 5-10 minutes, depending on the size of the fillets. And thank you! Man this was easy and tasty. Takes a very plain fish and makes it extremely flavorful. Quick weeknight dish. I love this recipe! It has become a family favorite and enjoyed often. I don’t like cayenne so I mixed up the rub mix and used taco seasoning instead and it turned out great. Love how easy these are to make – and good for you too! Tilapia has become our favorite fish…so versatile and adapts well to many preparations. I made this the other night and both my husband and I were saying yum all the way through dinner. I’m going to make up some of the rub and keep in a zip lock bag and try it on a pork tenderloin and also boneless chicken breasts. Thanks for a great, easy recipe. I’m really enjoying your website! We have this so often in our household, I keep a jar of the spice mixture all made up, then, it cuts down on prep time. So good. Would be good on corn on the cob too! Hi Kayla, You could but it won’t be quite the same; the cumin adds a lot of flavor. Can I use this recipe without cumin ?? I have everything but that . This was delicious! I’ve always been afraid to cook fish but when I saw this recipe I just knew I had to try it and it turned out great. This will become a regular dish. Thank you! Jen, this recipe is wonderful. I’ve made these three times for my teens and I’m making again tonight at the request of my uber-finicky son. I always find frozen tilapia on sale and never really knew how to make them taste good compared to other fleshier fish. Thanks. Really love your blog, visuals, and most importantly…your recipes. Nice job! This was so easy and very good. I’ll be making it again soon. Saw this in my inbox yesterday and picked up the tilapia at the store. The rest is history. This goes down as the “best fish I have ever made, as exclaimed by my 22 year old son”. I had all the ingredients on hand except the fish, and it was a very quick, simple, impressive and delicious high point of our meal. Thanks once again! All I have to say is once upon a chef…and my family knows what to expect! (This would be great to use in a fish taco dish). This is a super easy full proof fish recipe and we all love it. Thanks for taking the fear out of cooking fish! Absolutely delicious! A new go to for quick dinners! This is easy to make for one person, esp since you can keep the spice mixture sealed up! I paired with sauteed green beans and brown rice & quinoa mixture. Another fabulous recipe. Served it with oven roasted broccoli splashed with a little fresh squeezed orange to balance out some of the heat. We ate on a OUAC kick and have been using your recipes almost every day. Keep them coming. I love checking my emails for new recipes ! I have made this dish many times as it’s so very easy and tasty. My husband loves it every time and even my grandaughters’ have eaten it. I have doubled the spice mixture to make it easy to prepare it the next time we have it. I’ve served it with rice and roasted vegetables for an easy, nutritious meal. Thank you Jennifer for creating this recipe! This is a fantastic weeknight meal – simple and quick to prepare, and best of all delicious! My entire family loves this recipe – I do put a little less of the spice mixture on the kids’ fillets, my husband loves it loaded up. To keep things quick and simple, I serve it with couscous and sautéed spinach. I have served this tilapia dish often. It is quick and delicious, a hit with my whole family. The rub is awesome; I have used it on salmon and chicken as well. I have made the rub as is, and also cut the paprika in half and used regular chili powder in its place. They are both good; it is a little spicier with the added chili powder, which we like. Serve with rice and a green vegetable. Simple, fast, and yummy. Perfect weeknight recipe. This is one of my favorite ways to make tilapia. It delicious and perfect for a quick, weeknight meal. I prefer to use fresh tilapia and I it cooks up easily in my cast iron skillet. I like to serve it with sauteed swiss chard or roasted broccoli. In the summer, it is great with fresh corn on the cod. Great when combined with the Black Bean Salad with Corn, Red Peppers, Avocado & Lime-Cilantro Vinaigrette!!! To do a proper backened fish of any type, you MUST use a cast iron skillet and the spice mix is only pressed to one side. You recipe is great – I am not debunking it – but it is not blackened by definition. I feel a bit embarassed, but what do you serve this with beside the lime wedges? Fries or mashed potatoes? Any suggestion would appreciated. Thank you. I like to serve this with roasted sweet potatoes, but roasted potatoes or buttered rice would also work well. And any simply prepared vegetable would be good too…check out my recipes for roasted carrots or garlicky roasted broccoli. A delicious go-to dinner! I’ve made this dish numerous times and shared it with many friends and family who also give it rave reviews. If you are sensitive to heat you can leave out the cayenne or just use less. So good…a must try! We use this spice combination on tilapia, haddock, flounder and halibut. It makes any fish taste delicious! I sometimes bake the fish in parchment paper in the oven to avoid using oil. It’s still moist and delicious!! Loved this recipe. Have used it with shrimp as well. It was the first receipe I tried from you and got me to follow you and “Like” you on Facebook. Love this recipe. It even got a non fish eater to eat fish. I have cooked this recipe for my family three times since I discovered it on your site. I reduce the cayenne pepper to 1/8 of a tsp, as I am cooking for young children. After seasoning with the spice blend, I use a light dusting of a seafood breading mix. My family loves this dish. Another fantastic dish!! I have gone from not cooking at all to cooking 5 nights a week, and everything is from your blog! Jenn — I loved this recipe! I used tilefish — was on sale at Balducci’s — and it was delicious! My picky 10 year old asked for seconds. Thanks so much — keep these great recipes coming! your blog is so pretty.. love this dish.. my favorite fish is salmon, tilapia is on my list too, love any kind of fish spiced up. This looks great! I’m not a huge fan of tilapia. Can I substitute another white fish? Any suggestions? Hi Kristen, You could substitute just about anything here, but snapper, grouper or mahi mahi would work particularly well. Salmon would be good too. Made this tonight for a quick mid-week supper. This was so delicious and easy, too. I had to double the recipe for my big family and not one bite left! I substituted 1/8 tsp granulated garlic for the 3/4 tsp garlic powder. Served the fish with a basmati rice pilaf and some fresh steamed green beans. Thank you, Jenn, for another simple but unbelievably tasty recipe. My husband and I had forgotten how good fresh tilapia can be! Glad you all enjoyed it, Liesel! We loved your recipe. It was quick and easy and I already had everything in my cupboard. Both my two and five year old enjoyed a large portion each. They especially enjoyed squeezing the lime wedges and we all talked about how the juice enhanced the flavor. Thanks for the wonderful and easy recipe. You’re welcome, Sofia. Glad to know it is kid-friendly! This recipe was wonderful! I had to use packaged, frozen salmon on hand (which I thawed — salmon is one of our emergency staples) and luckily the fillets were really thin, so they were similar to tilapia in size. The rub was delish!!! It wasn’t overly spicy, so the spice level was perfect. My husband raved and asked me to add it to my recipe collection. Yay!! Thanks again, Jenn, for another winning recipe! I will most definitely be trying this one! Looks fantastic ~ especially because I don’t have to change anything to make it gluten free! Thanks so much. Hi Jennifer – I am definitely going to try this recipe. One of our New Year’s Resolutions is to eat healthier and that includes more fish. Problem is, my husband firmly BELIEVES that he HATES Tilapia – and I have to agree that most restaurants do a lousy job with it . Still I’ve been afraid to try making it at home because I don’t want him to think I’m making something he doesn’t like just to be mean! This recipe sounds perfect for a secret test run to see if I can “trick” him into changing his mind. Right now our repertoire is limited to and by his pricey favorites: FRESH Alaskan Halibut, Tuna, Swordfish and Salmon… If this recipe works with him – I’ll feel emboldened and liberated! My Honey/Hubby went from being a confirmed cauliflower hater to sometimes actually preferring this recipe to Mac & Cheese! And THAT is really something! Thank Jennifer and Happy New Year! I’ll let you know how Project Tilapia goes! Hi Jesselyn, Nice to hear from you! I agree with you both — most restaurants do a lousy job with tilapia. It really needs the right preparation to be as good as those pricier options. This would definitely be a good one to try but you might try another recipe on my site first — the Crispy Tilapia Fingers with Lemon-Garlic Mayo — then graduate to this one. Good luck! i tried the tilapia fingers with garlic-lemon mayo during christmas eve. it was perfect! those who arent fish lovers become one! no joke. the mayo was so perfect too. but i added 2 more choices of sauce – ready made thai sweet chili and soy-vinegar sauce made from scratch. Now that’s a simple and delicious AND quick dinner!